SKU: cd-pk-dreamer. Categories: Gift Certificate, Most Popular. Give the gift of music by purchasing a Gift Certificate for lessons with Cello Dreaming. Perfect if you are a relative or friend who wants to gift something special and help an aspiring musician with the costs of training. Students can choose to assign the value to either their preferred group classes or individual lessons throughout the calendar year. 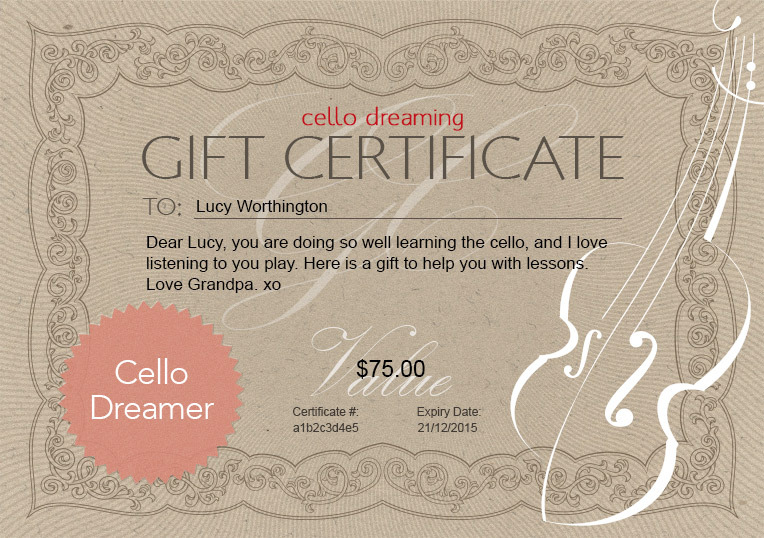 Makes a great gift certificate for a special Cello Dreamer!